Rumor Mythos cards often place Rumor tokens on specific spaces of the game board. An investigator on a space containing a Rumor token can encounter the token during the Encounter Phase. To do so, he resolves the effect on that Mythos card instead of resolving an encounter card. When a Mythos card is "solved", discard the card along with any tokens on it, then discard the corresponding Rumor token from the game board. 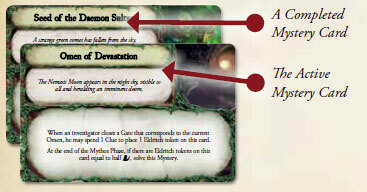 Some effects found on Rumor Mythos cards and Mysteries place tokens on a random space. Whenever an effect refers to a random space, that space is determined by drawing one Clue token from the Clue pool and using the space indicated by the back of the token. The drawn Clue token is then discarded. 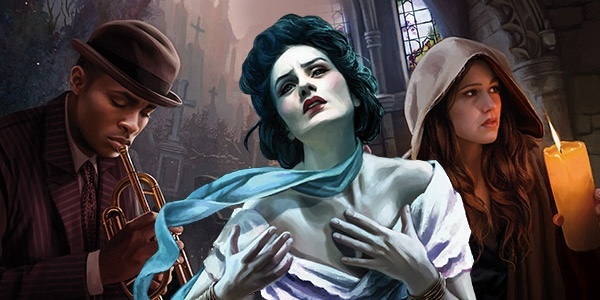 In order to win the game, investigators need to solve three Mysteries. Each Ancient One has its own deck of Mystery cards with a unique set of tasks that the investigators must resolve. During setup, draw one Mystery card and place it faceup next to the Ancient One sheet. Each card lists how investigators can solve that Mystery. As soon as a Mystery is solved, immediately draw a new Mystery card from the deck and place it faceup on top of the old Mystery card. 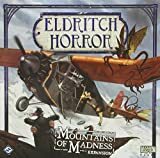 As soon as three Mysteries are solved, investigators win the game. If the Ancient One awakens, investigators need to solve the Final Mystery in addition to three Mystery cards. When the Doom token reaches the "0" space of the Doom track, the Ancient One awakens. Flip the Ancient One sheet and immediately resolve the "Awakens" effects (if any) on the upperleft corner of the sheet. 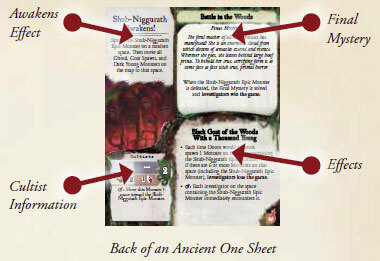 This sheet remains facedown for the rest of the game, and its effects replace those found on the front of the sheet (including Cultist information). The back of the Ancient One sheet also describes how the investigators can lose the game. After the Ancient One has awakened, when an investigator is defeated or devoured, the player controlling that investigator is eliminated. Eliminated players do not select a new investigator to control and can no longer participate in the game. If all players are eliminated, investigators lose the game. 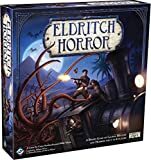 Once the Ancient One awakens, it is much more difficult for investigators to win the game. 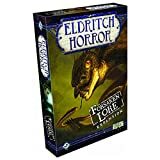 Each Ancient One sheet describes one Final Mystery the investigators must solve in order to win the game, usually confronting the Ancient One head-on.